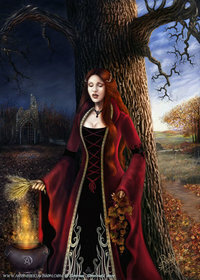 The Wheel turned and Mabon came upon us. 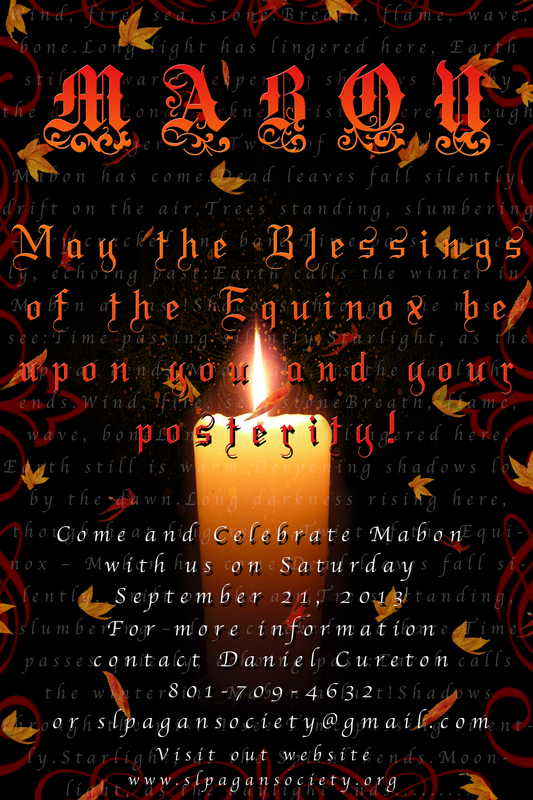 The members of SLPS gathered to celebrate the Fall Equinox on Saturday, September 20, 2014, known as Mabon and Alban Eiler, to honor the Gods, Goddess, and the coming Dark Times, when we all turn inward and study the self, inside mysteries and take time alone as the God dies. The altar was beautifully decorated with the fruits of the season: peaches, plums, apples and flowers. A seasonal table cloth my by Trustee April Love and a Fall Queer God painting by Kurt Shoopman of Kentucky adorned the table. Lanterns hung in the trees gave an extra witchy and magical feel to the temple area. The new brooms gave the perfect backdrop to the altar. The Goddess present was Bast, Cat God of Egypt, one who walks between worlds, and Cernunnos, Celtic Lord of Light and Dark. The ritual included a lighting of the lamp, signaling the light within during the dark, and a Ganesh birthday celebration. Shortbread cookies with jam were offered Ganesh and the song “Ganesh (Sound the Horn)” by MC Yogi on his album Elephant Power was played in his honor. Craft nights are exciting and bring magic to the world! 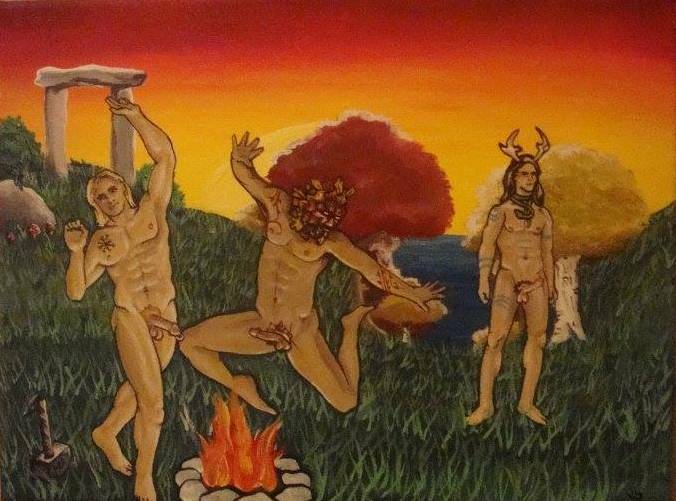 This Mabon, 2014 the activity was broom or besom making. A good Friday activity, September 19, and easy enough skill, it doesn’t take much to make up a nice besom for ritual, cleansing, and protecting the home. A traditional tool of witches and even some Gods, like Ganesh, the witch’s besom is used to energetically clean an area by sweeping the astral energies out of the room. Most brooms are not built by witches to endure the physical act of sweeping, but are swept slightly off the floor. 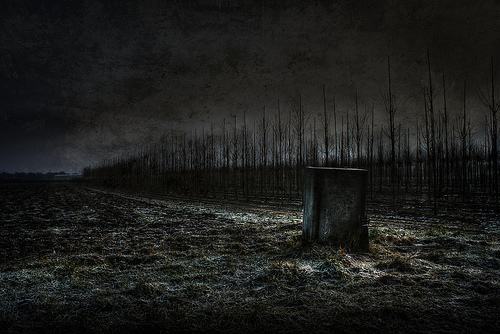 You can also lean them against a door post or hang about a door frame to protect your home. Thanks to some pruning last fall, 2013, President Muad’Dib had a supply of staff wood to choose from. Ultimately cherry was the wood of choice. 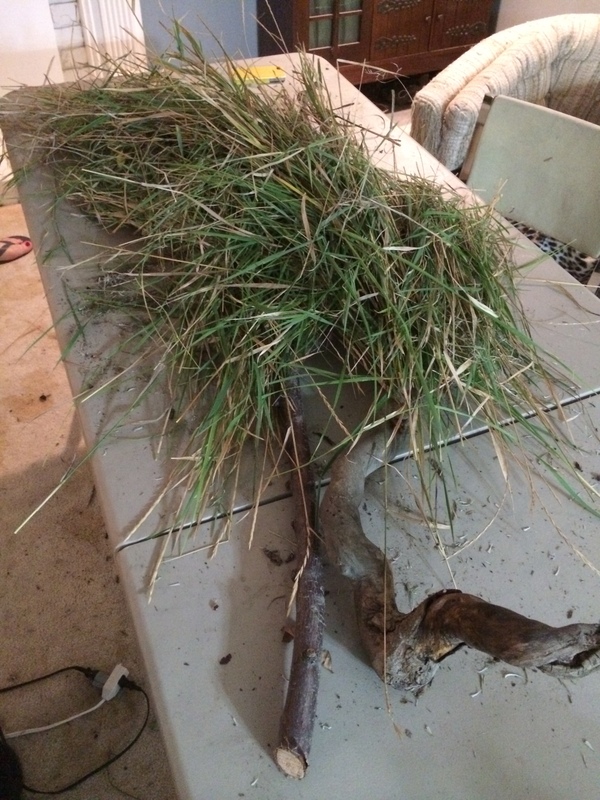 Grass from the garden was magically harvested and used for the bristles. Yarn was use to tie the bundles and secure it to the staff. After only an hour or so, *Boom* there’s a new broom!